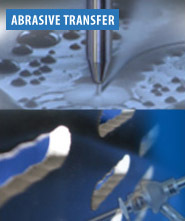 describes the benefits of longer seal life, reduced abrasive costs (which are 66% of operating costs), reliability and the incredible results he has seen in his business with the implementation of PRO-III 90,000psi waterjet cutting. 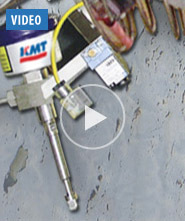 offers the first impressions of how the KMT STREAMLINE PRO-III waterjet pump significantly increased seal life hours and has lowered the cost of operation by doubling production, and reduced overtime in the shop. upgraded from two 55,000psi waterjet pumps to the KMT Waterjet STREAMLINE PRO-III 90,000psi, 125hp pump. 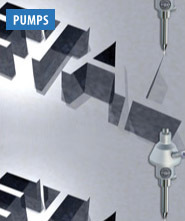 The KMT PRO-III 90,000psi waterjet pump has improved the quality of parts, uptime and reduced the cost of operation compared to the 55,000psi waterjet pump. 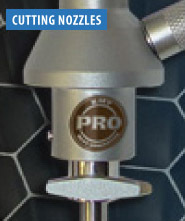 Longer Seal Life, Less Abrasive Cost, Reduced Maintenance and 100% Increase in Production are just a few of the reasons to switch to the NEW KMT PRO-III 90,000psi Waterjet Cutting Pumps!